Öz: Batı Anadolu’nun dağlık alanlarında yer alan Saklıgöl, Karagöl, Gökçeova Göleti, Kartal Gölü olmak üzere 4 gölden fitoplankton ve yüzey suyu örneklemeleri yapılmıştır. Bu göllere kış ulaşımının zor olmasından dolayı, 2009, 2010, 2011 yıllarının yaz ayları örnekleme zamanı olarak tercih edilmiştir. Yapılan incelemeler sonucunda, Cyanobacteria (5), Bacillariophyta (22), Ochrophyta (3), Chlorophyta (16), Charophyta (6), Miozoa (3) ve Euglenophyta (4) divizyolarına dahil 59 takson teşhis edilmiştir. Saklıgöl’den 23, Gökçeova Göleti’nden 26, Kartal Göl’ünden 21 ve Karagöl’den 24 fitoplankton taksonu saptanmıştır. Sonuç olarak, göllerin fitoplankton kompozisyonu ve diğer bazı ekolojik değerleri, inceleme yapılan göllerin verimlilik durumunun oligotrofik olduğunu göstermektedir. Bu çalışmada, Türkiye’nin dağ göllerinin fitoplankton kompozisyonu ve limnolojisi hakkındaki bilgilere katkılar sağlanması amaçlamıştır. Akköz, C. & Güler, S. (2004). The Algal Flora of Topçu Lake (Yozgat) I: Epilithic and Epiphytic Algae. (in Turkish with English abstract). Selçuk University Journal of Science Faculty, 23: 7-14. Anonim, (1999). The MOLAR project: atmospheric deposition and lake water chemistry. Journal of Limnology, 58: 88–106. Aykulu, G., Obalı, O. & Gönülol, A. (1983). The distribution of the phytoplankton of some lakes of Ankara around (in Turkish with English abstract). Doğa Bilim Dergisi, 7: 277-288. Aysel, V. (2005). Check-List of The Freshwater Algae of Turkey. Journal of Black Sea/Mediterranean Environment, 11(1): 5-128. Balık, S., Ustaoğlu, M.R. & Özbek, M. (2003). The Mollusc fauna of some lakes on Taurus Mountains (S Anatolia) (in Turkish with English abstract). Ege Journal of Fisheries and Aquatic Sciences, 20: 351-355. Baykal, T., Açıkgöz, İ., Yıldız, K. & Bekleyen, A. (2004). A Study on Algae in Devegeçidi Dam Lake. Turkish Journal of Botany, 28: 457-472. Bourrelley, P. (1966). Les Algues d’eau douce . Initiation á la systématique. Tome 1: Les Algues Vertes. Paris, Boubée éd., 1-511, 117 pl. Bourrelley, P. (1968). Les Algues d’eau douce . Initiation á la systématique. Tome 2: Les Algues jaunes et brunes. Chrysophycées, Phéophycées, Xanthophycées et Diatomées. Paris, Boubée éd., 1- 438, 114 pl., 1tabl. Bourrelley, P. (1970). Les Algues d’eau douce . Initiation á la systématique. Tome 3: Les Algues bleues et rouges. Les Eugléniens, Péridiniens et Cryptomonadines. Paris, Boubée éd., 1-512, 137 pl. Carlson, R.E. (1977). A trophic state index for lakes. Limnology and Oceanography. 22:361-369. Carlson, R.E. & J. Simpson. (1996). A Coordinator’s Guide to Volunteer Lake Monitoring Methods. North American Lake Management Society. 96 pp. Cirik S. & Cirik S. (1989). Planctonic algae of Gölcük (Bozdağ/İzmir) (in Turkish). İstanbul University Journal of Aquatic Products 3: 131-150. Cirik-Altındağ, S. (1982). Phytoplankton of Manisa-Marmara Lake, I-Cyanophyta (in Turkish with French abstract). Doğa Bilim Dergisi, 6 (3): 67-81. Cirik-Altındağ, S. (1983). Phytoplankton of Manisa-Marmara Lake, II-Euglenophyta, (in Turkish with French abstract). Doğa Bilim Dergisi, 7 : 460-468. Çelekli, A., Albay, M. & Dügel, M. (2007). Phytoplankton (except Bacillariophyceae) Flora of Lake Gölköy (Bolu). Turkish Journal of Botany, 31:49-65. Ersanlı, E. & Gönülol, A. (2003). Study on the Phytoplankton and Seasonal Variation of Lake Simenit (Terme-Samsun, Turkey), Turkish Journal of Fisheries and Aquatic Sciences, 3: 29-39. Gönülol, A. & Obalı, O. (1998). A study on the Phytoplankton of Hasan Uğurlu Dam Lake (Samsun-Turkey). Turkish Journal of Biology, 22: 447-462. Guiry, M.D. & Guiry, G.M. (2016). AlgaeBase. World-wide electronic publication, National University of Ireland, Galway. http://www.algaebase.org; searched on 07 March 2016. Heinonen, P. (1980). Quantity and composition of phytoplankton in Finnish inland waters. Publ. Water Res. Inst. 37, Vesihallitus-National Board of Waters, Finland. Hustedt, F. (1930). Bacillariophyta Diatome Heft: 10 A Pascher DieSusswasser Flore Mitteleuropas. Ed. Gustav Fischer Pub., Jena, 466p, Germany. Hutchinson, G.E.A. (1957). Treatise on Limnology Volum I: Geopraphy, Physics and Chemistry, John Wiley, Newyork. Isaksson, A. (1998). Phagotrophic phytoflagellates in lakes. A literature review. In: Archiv für Hydrobiologie, Special Issues: Advances in Limnology, 51: 63-90. İşbakan-Taş, B., Gönülol, A. & Taş, E. (2002). A Study on the Seasonal Variation of the Phytoplankton of Lake Cernek (Samsun-Turkey). Turkish Journal of Fisheries and Aquatic Sciences, 2: 121-128. John, D.M., Whitton, B.A. & Brook, A.J. (2003). The Freshwater Algal Flora of the British Isles: An Identification Guide to Freshwater and Terrestrial Algae. Cambridge University Press. New York. 701 pages. Karacaoğlu, D., Şükran D. & Dalkıran, N. (2004). A Taxonomic Study on the Phytoplankton of Lake Uluabat (Bursa). Turkish Journal of Botany, 28: 473-485. Katip, A., İleri, S., Karaer, F. & Onur, S. (2015). Determination of the Trophic State of Lake Uluabat (Bursa-Turkey). Ekoloji, 24, 97, 24-35. doi: 10.5053/ekoloji.2015.07. Kılınç, S. (1998). A Study in The Seasonal Variation of Phytoplankton in Hafik Lake (Sivas, Turkey), Turkish Journal of Botany, 22:35-41. Kıvrak, E. & Gürbüz, H. (2005). Seasonal variations in phytoplankton composition and physical-chemical features of Demirdöven Dam Reservoir, Erzurum, Turkey. Biologia, Bratislava, 60/1: 1-8. Kolaylı, S. & Şahin, B. (2007). A Taxonomic Study on the Phytoplankton in the Littoral Zone of Karagöl Lake (Borçka-Artvin/Turkey). Turkish Journal of Fisheries and Aquatic Sciences, 7: 171-175. Komárek, J. & Zapomelova E. (2007). Planktic morphospecies of the cyanobacterial genus Anabaena = subg. Dolichosperumum-1. part: coiled types. Fottea 7: 1–31. Lampert, W. & Sommer, U. (2007). Limnoecology: The Ecology of Lakes and Streams. 2nd edition. Oxford: Oxford University Press, 324 pp. ISBN ISBN-13: 9780199213931. Legnerova, J. (1965). The Genera Ankistrodesmus Corda and Raphidium Kützing and their Position in the Family Ankistrodesmusmaceae. Preslia, 37: 1-8. Naz, M. & Türkmen, M. (2005). Phytoplankton biomass and species composition of Lake Gölbaşı (Hatay-Turkey). Turkish Journal of Biology, 29: 49-56. Ongun-Sevindik, T. (2010). Phytoplankton Composition of Çaygören Reservoir, Balikesir-Turkey. Turkish Journal of Fisheries and Aquatic Sciences 10: 295-304. Özyalın, S. & Ustaoğlu M.R. (2008). Investigation of the net phytoplankton composition of Kemer Impoundment (Aydın) (in Turkish with English abstract). Ege Journal of Fisheries and Aquatic Sciences, 25 (4): 275-282. Palmer, C.M. (1980). Algae and Water Pollution, Castle House Pub., London. Pechlaner, R. (1971). Factors that control the production rate and biomass of phytoplankton in high-mountain lakes. Verhandlungen Internationale Vereinigung für theoretische und angewandte Limnologie 19, 125-145. Philipose, M. T. (1967). Chlorococcales. I. C. A. R., New Delhi, 365 p.
Round, F. E. (1973). The Biology of the Algae, Edward Arnold, London. Sakamoto, M. (1966). The Chlorophyll Amount In The Euphotic Zone In Some Japanese Lakes and Its Significace In Thr Photosynthetic Production of Phytoplankton Community. Bot. Mag. Tokyo, 79: 77-78. Salmaso, N. (2000). Factors affecting the seasonality and distribution of cyanobacteria and chlorophytes: a case study from the large lakes south of the Alps, with special reference to Lake Garda. Hydrobiologia, 438: 43-63. Sarı, D. (2010). Biyoçeşitlilik ve floristik çeşitlilik açısından alpin alanların önemi. III. Ulusal Karadeniz Ormancılık Kongresi, Cilt: IV Sayfa: 1447-145. Sims, P.A. (1996). An Atlas of British Diatoms. Illustrated by Horace G. Barber, & John R. Carter, arranged by Bernard Hartley. Biopress Ltd., Bristol, United Kingdom. 601 pp. Sömek, H. & Balık, S. (2009). Seasonal variation of Algal flora and Environmental conditions of Karagöl (A Mountain Lake, İzmir-Turkey) (in Turkish with English abstract). Ege Journal of Fisheries and Aquatic Sciences, 26(2): 121-128. Sömek, H., Balık, S. & Ustaoğlu M.R. (2005). Phytoplankton of Topçam Dam Lake (Çine-Aydın) and Their Seasonal Variations (in Turkish with English abstract). 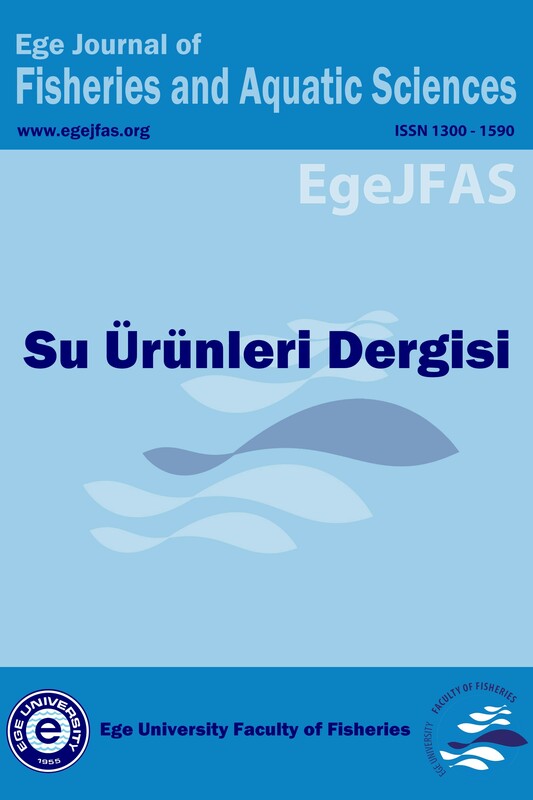 Süleyman Demirel University Eğirdir Journal of Fisheries Faculty, 1(1): 26-32. Şahin, B. (2000). Algal flora of lakes Aygır and Balıklı (Trabzon, Turkey), Turkish Journal of Botany, 24: 35-45. Şahin, B. (2001). Epipelic and epilithic algae of Dağbaşı lake (Rize-Turkey). Turkish Journal of Botany, 25: 187-194. Şahin, B. & Akar, B. (2007). The Desmid Flora of Some High Mountain Lakes of the Turkish Eastern Black Sea Region. Pakistan Journal of Botany, 39(5): 1817-1832, 2007. Şen, B., Çağlar, M. & Toprak Pala, G. (2001). The Diatoms of Tadım Pond (Elazığ) and Their Seasonal Distrubition (in Turkish with English abstract). Science and Engineering Journal of Fırat University, 13 (2): 255-261. Taş, B. & Gönülol, A. (2007). Planktonic algae of Derbent Dam Lake (Samsun, TURKEY). Journal of FisheriesSciences.com,1 (3): 111-123. Ustaoğlu, M. R., Balık, S., Özdemir Mis, D. & Aygen, C. (2005). The Zooplankton of Some Lakes in the Taurus Range (Turkey). Zoology in the Middle East, 34: 101-108. Ustaoğlu, M.R., Balık, S. & Özbek, M. (2004). Contributions to the Knowledge of Malacostraca (Crustacea) Fauna of the Taurus Mountains District (Southern Anatolia). Turkish Journal of Zoology, 28:91-94. Vaitomaa, J. (2006). The effects of environmental factors on biomass and microcystin production by the freshwater cyanobacterial genera Microcystis and Anabaena. Edita, Helsinki, Finland, 56 p.
Vollenweider R.A. & Kerekes J.J. (1982). Eutrophication of waters. Monitoring, assessment and control. OECD Cooperative programme on monitoring of inland waters (Eutrophication control), Environment Directorate, OECD, Paris. 154 p.
Wetzel, R.G. (1975). Limnology. W,B. Sounders Conpany, Phiadelphia, 743p. Willén, E., Hajdu, S. & Pejler, Y. (1990). Summer phytoplankton in 73 nutrient-poor Swedish lakes - classification, ordination and choice of long-term monitoring objects. Limnologica, 20: 217-227. Yıldız, S., Özbek, M., Ustaoğlu, M.R. & Sömek, H. (2012). Distribution Patterns of Aquatic Oligochaetes (Annelida, Clitellata) in the Eastern Black Sea Range of Turkey. Turkish Journal of Zoology, 36(1): 59-74. Yıldız, S., Taşdeir, A., Özbek, M., Balık, S. & Ustaoğlu, M.R. (2005). Macrobenthic Invetebrate Fauna of Lake Eğrigöl (Gündoğmuş-Antalya). Turkish Journal of Zoology, 29: 275-282.